"This Chicago-based company have crafted a show that sneaks up on you." "Fans of The Circle, the novel by McSweeney's founder Dave Eggers, will enjoy this tight and amusing show about the totalitarian tendencies of online engagement." "It's energetic, insane, ridiculous, but yet somehow way way too real." "With an incredibly intelligent and nuanced script as well as fully actualized performances from the supremely deliberate actors, this hilarious and surprisingly tender show provides a unique and thoughtful take on the fine line between creating a legitimate business and staying faithful to the original conception of one’s creative endeavors." "The energy of the script flows through the phenomenally talented performers effortlessly and results in a fantastical and frenetic uneasiness throughout. Quick humor supplemented by nuanced emotions." "RECOMMENDED: What’s most fun and surprising here is the comedy, from verbal jabs to physical, that punctuates the heavy scenes." "This is sloppy, slapstick, and set to a memorable soundtrack of up-and-coming local musicians." "RECOMMENDED: [Director] Ben Kaye finesses the script and performers to create an entertaining glimpse into one wild evening of misunderstandings, mishaps and misadventures." "HIGHLY RECOMMENDED: "[Director] Ben Kaye navigates sudden tonal shifts with impressive grace while avoiding melodrama." "The piece has a playful, energetic approach as it tackles relatable issues of self-worth (all while making site-specific theater approachable). On the fence about site-specific theater? 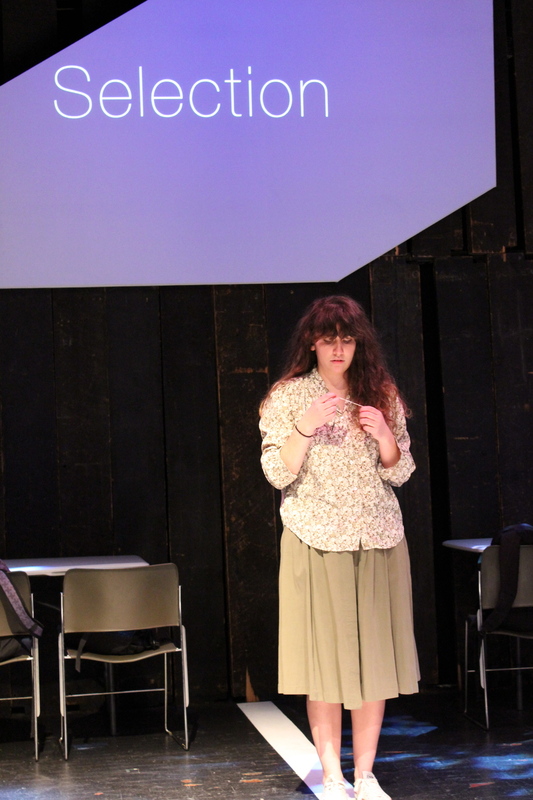 This poignant yet sassy play is the perfect introduction." "3 1/2 OUT OF 4 STARS: "At its best, Bobby Pin Girls feels like a Chicago-set episode of Broad City." "Director Ben Kaye skillfully navigates the space for maximum visibility, leading to some very clever staging... Nothing Without a Company has a winner on its hands." "Closet and bathroom retreats are actual rooms, the lights are toggle-switch household lamps and, if you listen closely, you can even hear the El next door. 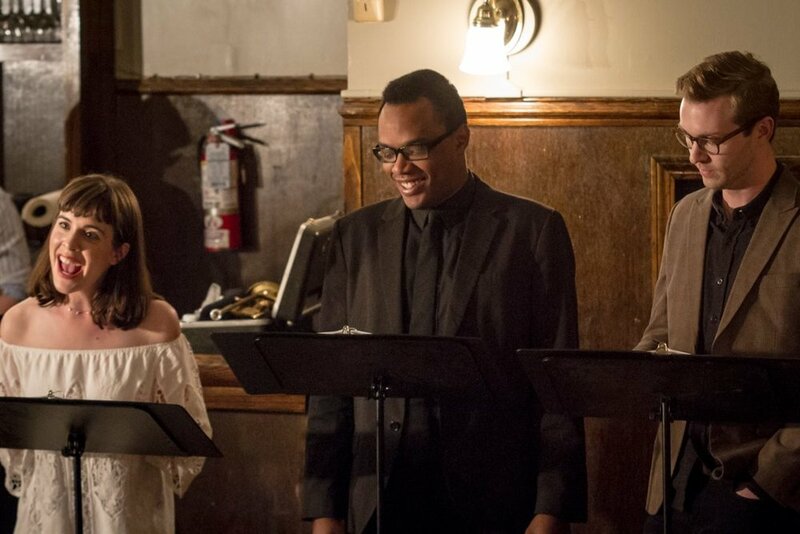 Under Ben Kaye's non-intrusive direction, Grace Hutchings and Emilie Modaff replicate the vocal mannerisms of earnest post-grads to the smallest inflection. All these elements make for a portrait of youthful lifestyles in 2017 so authentic as to deserve enshrinement in a time capsule." "RECOMMENDED: ...the show is a surreal game of pin the tail on the subconscious, and director Ben Kaye delights in spinning us around..."
"The play is not for everyone—literalists looking for a clear message will be disappointed. But hunters of deeper meaning will not." 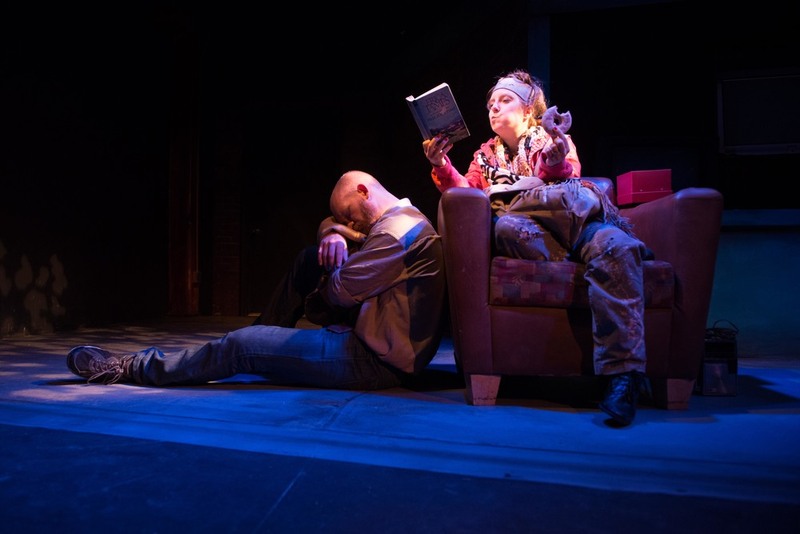 "The University of Pittsburgh Repertory Theatre’s presentation of Columbinus exceeds the limitations of the text and delivers a number of robust and haunting performances." "The naked honesty revealed through those surreal shifts in and out of the characters’ own private thoughts is simply exhilarating. It is clear from the players’ intricate and measured movements through those frozen-in-time scenes that director Ben Kaye knows how to take advantage of moments of interiority." "In the capable hands of director Ben Kaye and the Pitt Rep cast, Columbinus gets the sincere and affecting delivery its message deserves." 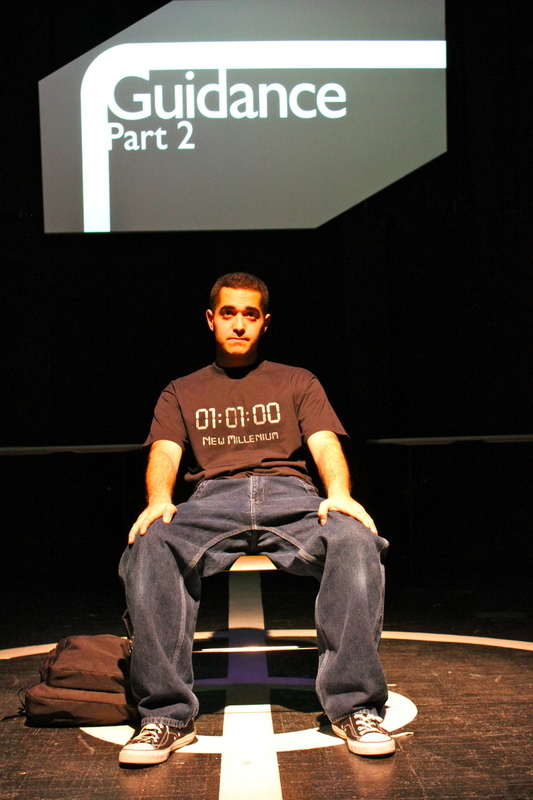 A myriad of short plays, readings, and other smaller projects that I've directed over the years.